Homeless people waited to be admitted to the Boston Night Center in Boston, Mass. in 2015. WASHINGTON — President Trump submitted a budget Thursday that would radically reorder how federal taxpayer money is spent, steering billions of additional dollars toward the military while slashing money for poor people, children, the elderly, and medical research. The National Institutes of Health, a major source of money for the Massachusetts economy, would shrink by nearly 20 percent. Regulatory boards would be cut, such as one that recently issued a scathing report about the oil and gas industry’s lack of safety measures in the Gulf of Mexico. A grant program for oceanographic research would also be eliminated. Dollars would instead flow to the Department of Defense, which would balloon by $54 billion, an amount that “exceeds the entire defense budget of most countries,” according to Trump’s budget document. The Navy would buy more ships. The Air Force would have more planes. The nuclear arsenal would be infused with an extra $1.4 billion. Separately, it adds money to begin building Trump’s much-promised wall at the border with Mexico. Robert Coughlin, the president and chief executive of the Massachusetts Biotechnology Council, said Trump’s proposed cuts to the NIH would be “catastrophic” for the state and affect patients around the world. 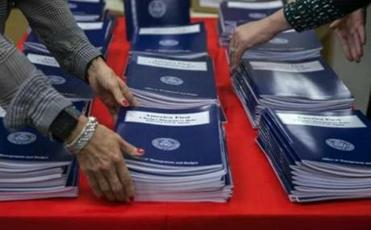 President Trump’s budget proposal calls for eliminating funding for a number of programs. Here’s a look at the programs and how much those cuts are estimated to save. But Trump’s point person on the budget, Mick Mulvaney, director of the Office of Management and Budget, said Trump brought his eye as a businessman to the cuts and was fulfilling his campaign promises to eliminate waste. “We can’t spend money on programs because they sound good,” he said. The Veterans Affairs Department in Washington D.C. The 53-page budget document entitled “America First” is by far the most detailed set of proposals to come from the country’s new president. The spending blueprint would leave Social Security, Medicare, and Medicaid intact, although the health care overhaul Trump supports would separately slash billions of dollars from Medicaid. But his overarching vision is that many programs for the poor don’t seem to be working and therefore should be reduced or eliminated to make way for improvements to weapons systems. 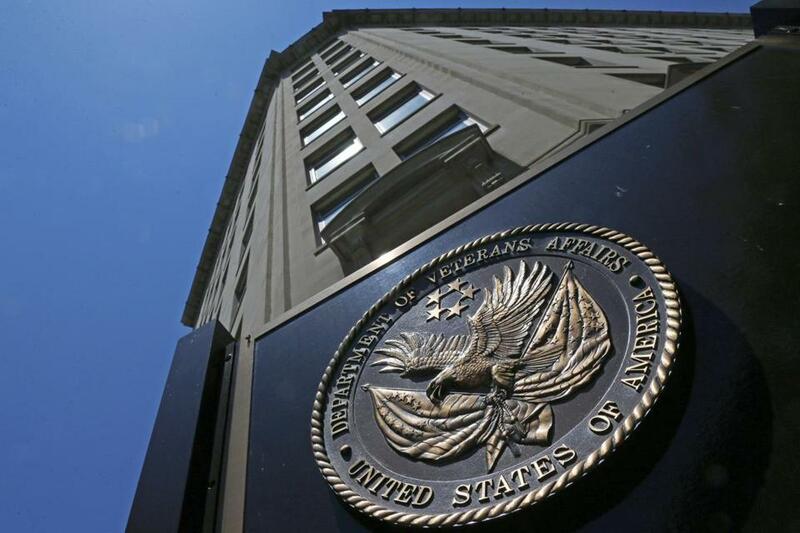 Veterans are among the few vulnerable populations helped by the budget and would see a $4.6 billion addition to improve their beleaguered health care program. Trump’s plan and its deep cuts to the federal government echoed President Ronald Reagan’s first budget proposal and offered an early glimpse at how the new president would “deconstruct the administrative state,” a goal articulated by Trump adviser Stephen Bannon. The plan sets up a showdown with Congress, which is unlikely to agree with many of the priorities. The document would face massive problems being enacted even if Republicans there would go along with it, which is not a given. “I’ve been on the Hill long enough to know many of these would be very unpopular,” said Mulvaney, briefing reporters at the White House on Thursday. The plan released Thursday outlines how Trump would like to spend about $1.1 trillion in discretionary federal dollars. The plan is an outline, known in Washington as a “skinny budget,” and a more detailed proposal will come in May, Mulvaney said. In addition to the 10 percent spike in defense spending, Trump’s budget provides a nearly $3 billion financial boost for the Department of Homeland Security — much of it earmarked to design and start construction of an immense wall on the southern border. Trump had said on the campaign trail that the Mexican government would fund the barrier, but Mexico has refused to pay, and Trump’s budget uses US tax dollars. 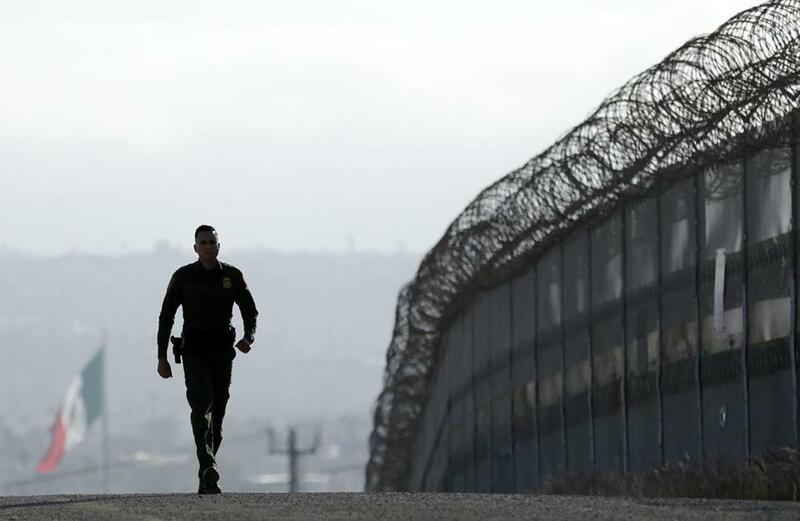 Border Patrol agent Eduardo Olmos walked near the secondary fence separating Tijuana, Mexico, background, and San Diego in San Diego. The president also set aside funds to hire an additional 500 border patrol agents and 1,000 new Immigration and Customs Enforcement officers. Missing from the document is any hint of the populism that Trump ran on, like the massive infrastructure plan that he’s talked about repeatedly. There’s no clue about how Trump would rejigger the US tax code. Mulvaney said those initiatives would be introduced later in the year, after Congress deals with the GOP’s plan to replace the Affordable Care Act. The budget proposal does show that Trump’s far less concerned with the federal deficit than many conservatives. The gap between federal spending and revenues doesn’t change at all because the deep cuts to programs are offset by the jolt in military spending. Entire programs would be eliminated, including the Sea Grant funds that support the Woods Hole Oceanographic Institution; the Legal Services Corporation, which provides legal assistance for low-income citizens; and the National Endowment for the Arts and the Corporation for Public Broadcasting. The proposal zeros out money for the Community Development Block Grant program, a program popular with local governments. Mulvaney offered no evidence for how the Trump administration determined that the targeted programs were not working as intended. Reaction to the plan from the state’s top elected leaders was swift and universally negative. “His budget will help everybody who is already rich,” Senator Elizabeth Warren said. The budget reflects Trump’s deep skepticism about climate change, slashing funds in multiple departments used to measure and plan for rising sea levels and a warming planet. “Unsurprising. Short sighted,” said Phil Duffy, the president and executive director of the Woods Hole Research Center, an independent research institute that focuses on climate change, when asked for his reaction to the plan. 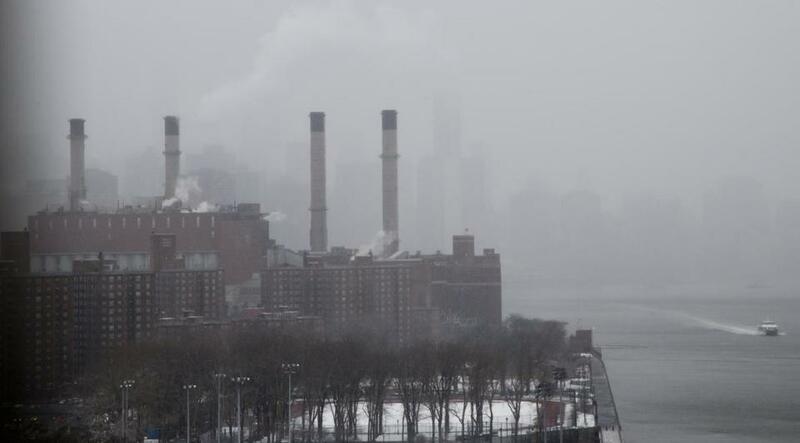 The Trump administration is considering doing away with the Clean Power Plan, which requires states to find methods to reduce carbon dioxide emissions from power plants. Editorial: Mexico’s not paying for the wall. Are we?